These are really lovely and have much more support than normal convrse. I am a size 6.5 (40) and I originally ordered a size 7 (41) which would have been a size 7 (40) in converse as this is my usual size hoeever these were massive - because these are wider the extra length wasn't needed and a 6 (39) was much better for me. I have vrry narrow feet though. Ethletic footwear are proud to offer the ethical alternative. 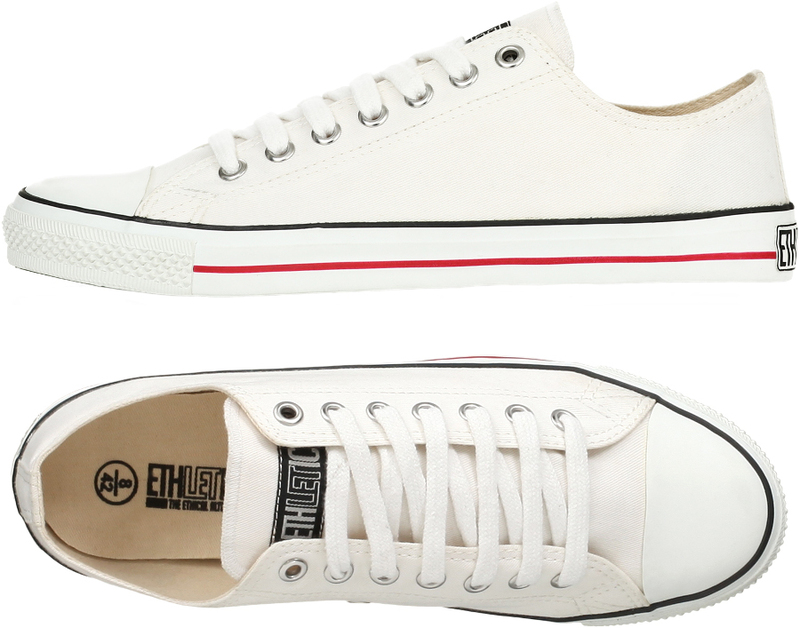 Their trainers are made with organic and Fairtrade certified cotton, the rubber soles are FSC certified and sourced responsibly, and the rubber is fairly traded. Seeking to tick every ethical box for footwear, Ethletic are a fair trade company, with the environment and sustainability at the core of what they do. In addition, the pioneering Fairtrade rubber project pays a Fairtrade social premium for every kilo of rubber used on the production of these trainers. The rubber tappers than decide how to use their income to improve their living and working conditions. Almost every material used is fair trade and ecologically certified so you can wear these shoes with a clean conscience.